The newest Telebabad fantaserye just started this night. 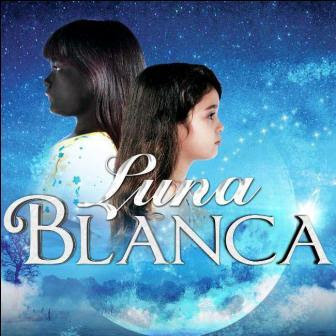 This is "Luna Blanca" which is the sequel of the 2009 hit Kapuso telefantasya, "Luna Mystica." This newest TV series of GMA-7 is topbilled by Kapuso's leading child stars Jillian Ward and Mona Louise Rey. Jillian plays the role of the charcoal-skinned Luna while Mona portrays the character of Blanca, the fair-complexion girl. Raymart Santiago, Camille Pratts, Chynna Ortaleza, Dante Rivero, Marissa Delgado, Karen delos Reyes, Mercedes Cabral, Buboy Villar, Arkin Magalona with Babrbie Forteza, Bea Binene, Bianca King, and Heart Evangelista completed the cast members.